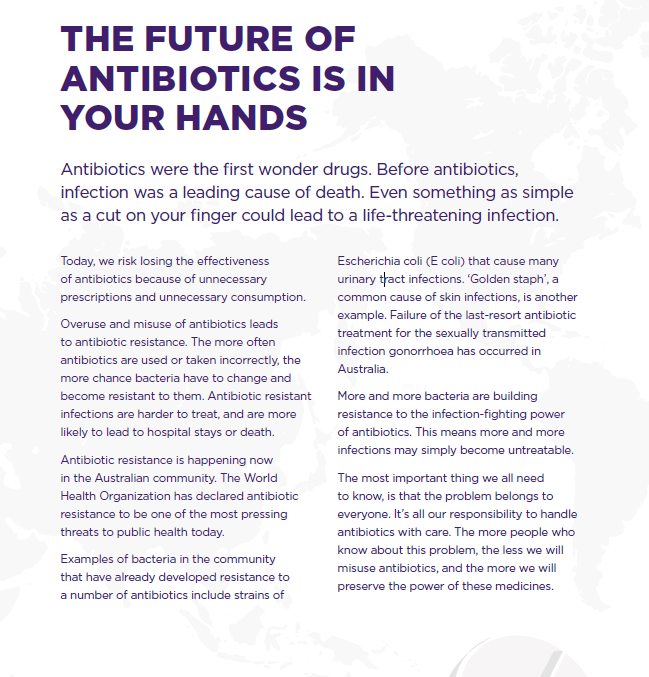 A recent prediction from the UK stated that antibiotic resistance could lead to an extra 10 million deaths a year worldwide by 2050 with a financial cost to the world of up to $100 trillion. 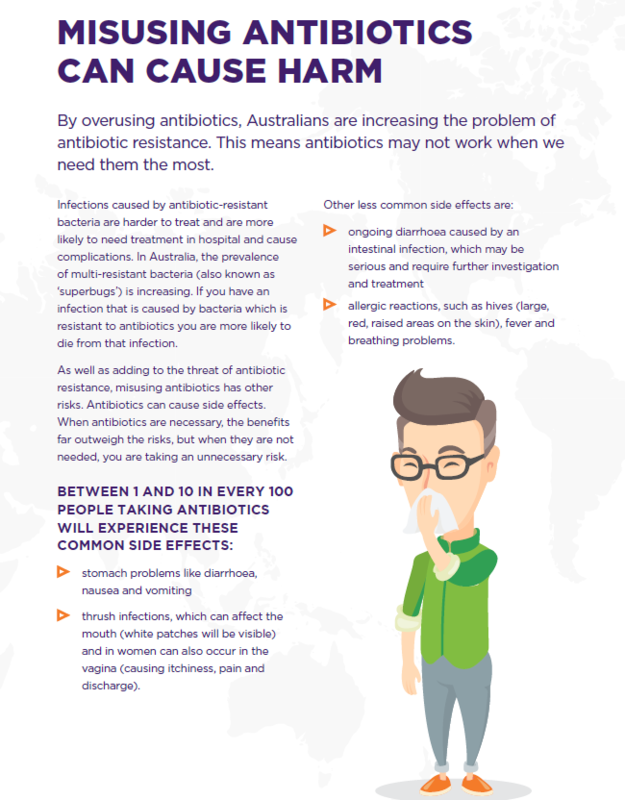 Australia has one of the highest antibiotic prescription rates in the world with around 29 million prescriptions issued annually. 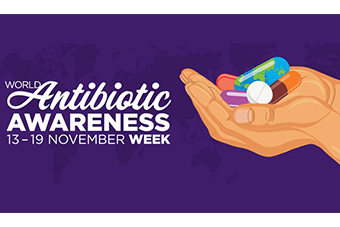 World antibiotic awareness week is a global event to raise awareness of the serious health issue of antibiotic resistance. 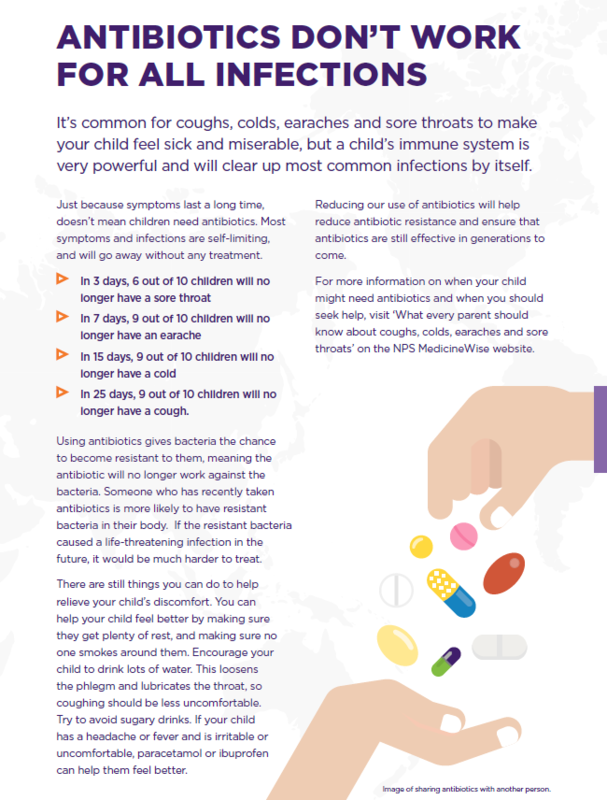 The campaign aims to create behaviour change and drive down inappropriate antibiotic prescribing. The most important thing we all need to know is that the problem belongs to everyone. 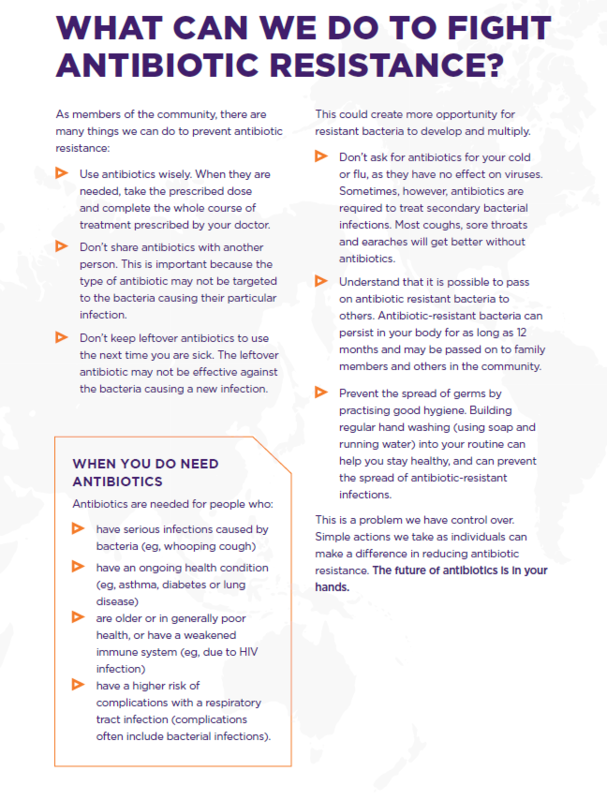 It is all our responsibility to handle antibiotics with care. The more people who know about this problem, the less we will misuse antibiotics and the more we will preserve the power of these medicines. Dr Andrew Boyden answers the most asked questions on antibiotic. 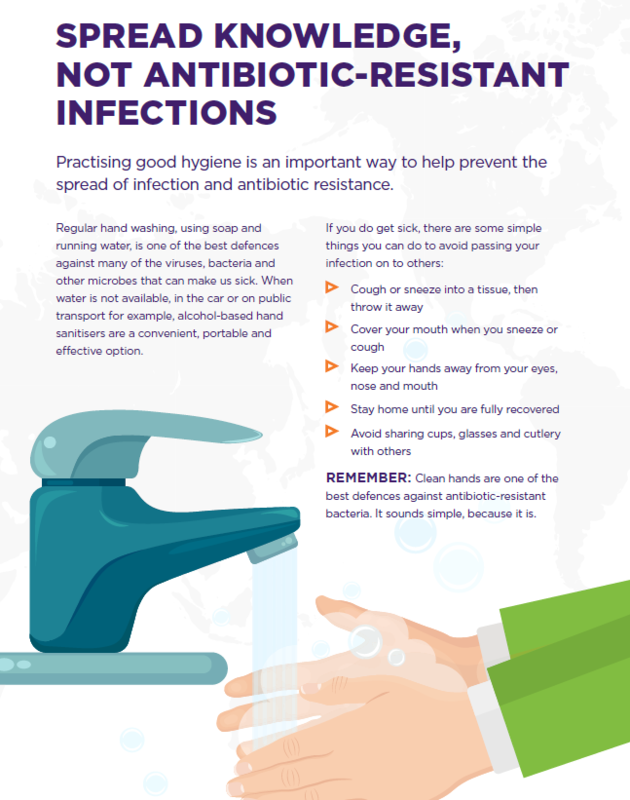 What can we do to fight antibiotic resistance? For more information and to find out how you can make a difference visit the NPS Medicinewise website.